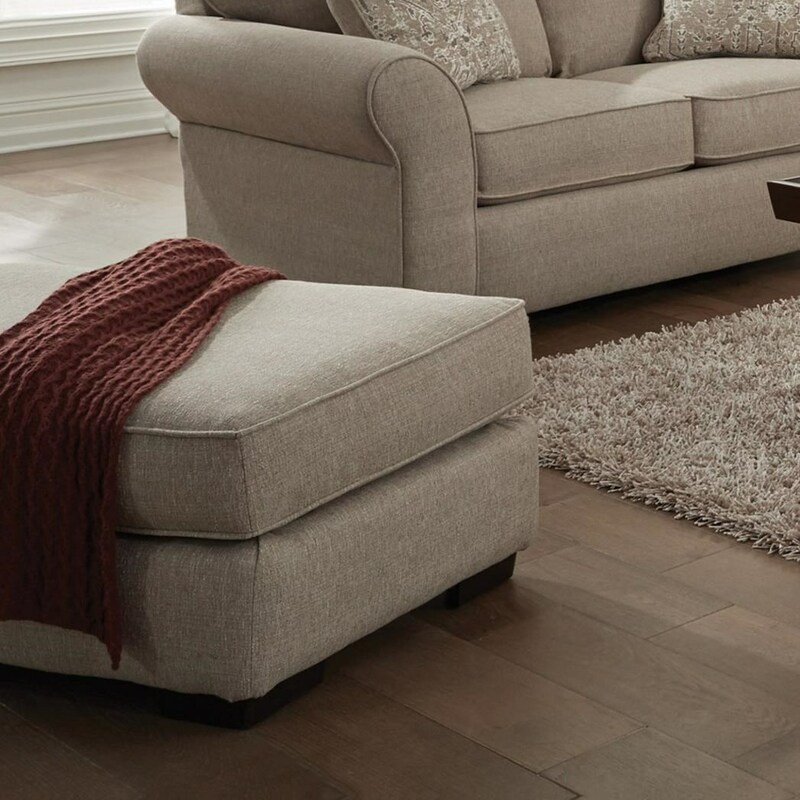 The Maddox Ottoman by Jackson Furniture at Miskelly Furniture in the Jackson, Pearl, Madison, Ridgeland, Flowood Mississippi area. Product availability may vary. Contact us for the most current availability on this product. Fabric Options Available in fabric(s) pictured. See store for details. The subtle details in this collection create its transitional style, while the quality construction infuse the collection with comfort. These pieces allow you to curate a casual elegance for your home, perfect for gathering friends and family around for any and all events. The Maddox collection is a great option if you are looking for furniture in the Jackson, Pearl, Madison, Ridgeland, Flowood Mississippi area. Browse other items in the Maddox collection from Miskelly Furniture in the Jackson, Pearl, Madison, Ridgeland, Flowood Mississippi area.